This week I’m taking a break from showcasing authors shortlisted for The Selfies Award to bring you news of a brand new release. I’m delighted to welcome Lorraine Devon Wilke to Virtual Book Club, my interview series that gives authors the opportunity to pitch their novels to your book club. 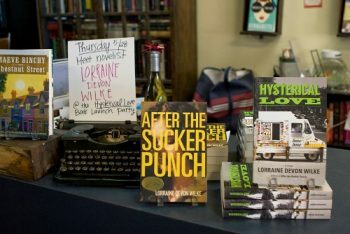 An accomplished writer in several genres of the medium, Lorraine, a Chicago native and one of eleven children, has built a library of expertly crafted work with a signature style that exudes intelligence, depth, and humour. 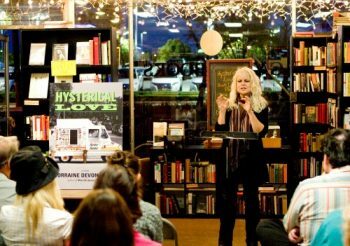 Whether screenplay or stage play, article or editorial, short story or novel, her work captures the edge and emotion of real life, incorporating original plots, jump-off-the-page dialogue, and thought-provoking themes. In 2010 she launched her “arts & politics” blog, Rock+Paper+Music, and from 2011 to 2018 she was a popular contributor at HuffPost and other news and media sites, typically focused on politics and social issues. Known for her “sass and sensibility,” her work has been reprinted and excerpted in academic tomes, nonfiction books, and literary journals; a catalogue of her articles, op-eds, and essays can be found at Contently.com. A produced and awarded screenwriter, she’s spent more recent years working in longform fiction as well. Both her award-winning novels, After the Sucker Punch and Hysterical Love, are available at Amazon and Barnes & Noble. Her latest, The Alchemy of Noise, released on 9 April 2019, digs deep into issues of privilege, profiling, and prejudice in contemporary Chicago, is published by She Writes Press. Having left Illinois decades ago with a rock band heading west, Devon Wilke landed in Los Angeles where she still lives with her husband, attorney/writer/producer, Pete Wilke, with her son, Dillon Wilke, and other extended family nearby. 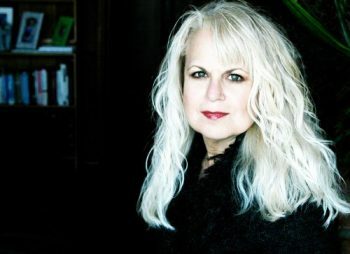 She’s working on a fourth novel, a rock & roll dramedy titled, A Minor Rebellion, while continuing her endeavours as a social commentator, performer, and photographer. Q: Welcome Lorraine. I’m going to start off with a quote from Neil Gaiman. He said, ‘Start telling the stories that only you can tell, because there’ll always be better writers than you and there’ll always be smarter writers than you. There will always be people who are much better at doing this or doing that — but you are the only you.’ Why is The Alchemy of Noise a story only you can tell? Frankly, and not to be a contrarian, I’d say almost any story a writer takes on is one only they can tell. Think about it: No matter what the plot, theme, demographics, or cast of characters, if a writer lands on a story and feels compelled to tell it, typically it’s because something about it stirred them; resonated with them, and since every writer has a unique voice, they will tell that story in their own very specific way… which means only they can write that particular version of that story. Remember those exercises where a gaggle of writers is given the same prompt but each comes up with a story as varied and disparate as the group itself? 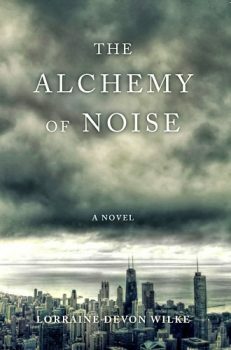 But to take the question where I think Gaiman meant it to go: The Alchemy of Noise is a story only I can tell because it evolved from specific events and circumstances experienced in my own life. As a participant and witness to those circumstances, their specific details and nuances, impacts and perspectives were known only to me, and though I put them in a fictional world with invented characters whose lives are very different from the real people involved, the foundation of the story is built upon my observations… which is why I am the only one who can write it. Q: Then I take it that your novel was inspired by real-life events? How do you deal with the responsibility that comes with this? This question is a good one, especially following the above. Yes, this novel was inspired by real-life events: Back in the 80s, I was deeply immersed in the music scene in Los Angeles, and in a relationship with a man of colour with whom I lived for six years. As educated as I thought I was on the topic of race and bias, and as open-minded and racially progressive as my upbringing had been, it quickly became clear that my white privilege allowed me only a glimpse of the bigger picture with so very much to learn. Witnessing, tangentially experiencing, and responding to the “microaggressions,” recurring police harassment, and flat-out bigotry my partner dealt with on a day-to-day basis forever changed my worldview on the reality of race, particularly in America. Later in my writing career, it struck me that this experience offered not only the seeds of a topical and dramatic story, but brought into the conversation the specific, shared, and disparate perspectives of a mixed-race couple. That seemed a compelling point-of-view to explore, particularly when lack of experiential empathy too often leaves participants in discussions of race struggling to understand the other side. As a longtime contributor to HuffPost (from 2011-2018), I referenced my experiences in several op-eds on the topic of race, which not only gave me access to a wider audience open to that conversation, but allowed me proximity to dialogue and feedback from both sides of the racial divide. As I began to formulate the narrative of this novel, that education helped bring the story into the current zeitgeist. From there, I created a fictional set of characters, put them in contemporary Chicago (see next question/answer), let them fall in love and find their equilibrium, then burdened them with many of the challenges and obstacles I’d witnessed and experienced in my own long-ago relationship, forcing them to determine if they could transcend the onslaught. You’ll have to read the story to find out if they do! As to “how to do deal with the responsibility that comes with this”: The events taken from my life are fictionalised to such an extent that they do not reflect back on any of the parties from that time (most of whom have been out of my life for decades). But given current debates within our culture, and certainly within the literary world, about issues of identity, race, cultural appropriation, ‘white saviour’ narratives (which this most definitely is not), ‘whose voice gets to tell stories of race?’, there was absolutely a responsibility—as a white author including black characters in my book—to get that element of it right. I didn’t take that lightly. Since the narrative inherently entailed the full representation of both parties and the people in their orbits, I knew there would be a heightened demand for realism and authenticity in depicting characters from a demographic of which I am not a member. Beyond tapping into my memories, perceptions, and observations, I employed prodigious research, myriad interviews, and the input of sensitivity readers whose assistance and support ensured that my goal of credibility succeeded. Q: What more do you think can be done to encourage diversity in fiction? Agents, publishers, media, reviewers all need to get more robust about signing and/or promoting the work and careers of diverse authors. Greater inclusivity is the key. The fraught conversations about “who gets to tell stories of race”, the resentments and backlash against films like Green Book, or the stunning fact that someone like Anthony Horowitz can be “warned off” of creating black characters, are all symptoms of the greater problem of exclusion, the lack of equitable representation of voices, viewpoints, and stories from writers of every race, creed, colour, gender, and orientation. But you don’t solve that problem with artistic censorship, by limiting what another author can talk about or include in their work, or constricting white writers who choose to include diversity in their books or screenplays. You solve it by actively and demonstrably leveling the playing field, by bringing in diverse writers in substantially greater numbers, and honoring and promoting their work with the same imperative as any others’. There’s been much discussion about doing that in the publishing industry, but like every other patriarchal system in the world, there’s a lot of lip service with real change slow to materialise. We’ll see how it goes as the continuing demand for wider diversity only gets louder. I think experts have their necessary place in any discussion of ethical conundrums; I also think art plays a role. Literary fiction, given its inherent ability to go deep and provoke emotions, has an innate power to illuminate** and stimulate debate, particularly amongst those who see those stories as reflections of our times, per Nina Simone. Q: Would you go as far as to say that you’ve written a political tract? Frankly, I think writers of literary fiction ought to make political statements in their work when so moved and it suits the story. But it does take conviction and a certain literary courage to do so without fear of pushback. Someone on Twitter once asked me, “Aren’t you worried that stating your political opinions so freely might alienate potential readers?” I did think about that for a second. Q: You’ve already mentioned that the book is set in Chicago. Why did you decide on that setting? A number of reasons: It’s the city of my birth; where I worked my first two jobs as a young adult, played frequently with my first band, and where I still have many friends and family… meaning, I know it well. It’s a classic, urbane city in ways good and bad, and has particular notoriety for controversies surrounding racial conflict and police “overzealousness,” making my plot very credible in that locale. Not a bit. And it seems I’ve succeeded! I’ve had several readers and a few reviewers remark that the main protagonists in both my first and second novels were some mix of frustrating, maddening, narcissistic, misguided, annoying, and deeply flawed. And these were people who liked the books! To my way of thinking, we who write realistic fiction are obligated to create characters that reflect real life… and real life comes with humans of every degree of likability, from Maria von Trapp to Hannibal Lecter. But even beyond the heroes we vaunt or villains we love to hate, some of the most memorable, engaging characters in fiction are those who are just human, presenting irksome, yet forgivable traits, embodying very real people we can root for, get behind, and hope for … flaws and all. I write lots of those. Q: You’re an artist who works in various mediums. 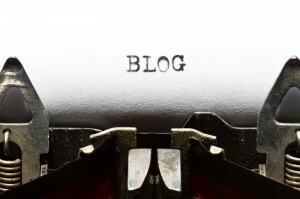 Are you a visual or a conceptual writer? I don’t know if my years as a screenwriter make it so, but when I write, fiction particularly, I tend to see the scene as I write it, inclusive of dialogue and action. When I’m done with a chapter I stop, open my mind to see what logically seems next, which usually appears, again, as a visual, and move forward from there. I’ve been told my work leans toward the cinematic—which has also been said of my songwriting—which is okay with me. Since I enjoy the process I follow, and the result appears to have become my style, I now just nod to my Muse and get on with it. Q: Was there a moment when you felt the story started telling you? YES! As I’m imagining “what’s next?” (per above), I feel like there’s an action that happens: my imagination opens like a door; where I’m to go next is then suggested by the characters, the plot; the natural, logical (sometimes illogical) impulse of the story. It’s actually quite exhilarating, that process; almost like climbing onto a ride, strapping in, and letting yourself be thrown through the air, this way and that, in service to some unknown but inexorable forward motion. If you don’t resist (which I’ve learned not to), it’s quite amazing to see where it takes you, a sort of “channeling,” if you will. I’ve learned it almost never leads me astray. Book clubs need stories that inspire conversation and debate, that provoke thought and emotion. The Alchemy of Noise offers that. But it is but one story of many on the topic; it’s just one writer’s view. There are countless other stories, and as many views and perspectives on these issues as there are people, but this is one, a valid one, I believe. So, I hope that, as I was, white readers will be illuminated about the buffer white privilege has provided them vs. the experiences so many people of colour endure; that black readers will see an honest, authentic reflection of some small part of what they have witnessed and/or experienced in their lives. That the love story will stir emotions and engender discussion of how love and tenderness can endure in the face of this particular kind of adversity. There are “book club questions” included at the end of the book, which pull out the items and specific angles of the story most likely to stimulate discussion. I hope they do. Q: Finally, a good ending should fix the shape and meaning of the whole novel. How did you make sure yours did exactly that? I’m a fanatic about endings, in all artistic mediums. There’s nothing worse than emotionally investing—or just investing time—in a book, television series, or movie, only to get to the conclusion to find the ending some hellish combination of utterly unbelievable, ridiculously neat and tidy, or stunningly inconclusive (I may hate those the most). There are books I loved up until that exact moment (I can think of a few but will leave them unnamed in deference to fellow authors! ), at which point I actually threw the books across the room in protestation. More than once, mind you. My statement authors would be: Do NOT ask readers to believe in the characters you’ve created, to find their traits, actions, and plot twists credible based on how you’ve created them, then expect those readers to “buy” a twist at the end that is completely at odds with the very characters and story you’ve created. There are a number of bestsellers that have done exactly that and, frankly, I take umbrage. Or, a series, like The Sopranos, that just goes to a black with the admonition that it’s up to the viewer to decide how it ended. NOPE. You’re the writer; it’s your job to define, detail, and deliver an ending that’s of-a-piece with the larger narrative you’ve created and we just watched. It may be trendy or clever to simply end, but I consider it creative abdication. Besides, as the writer I want the final word. While I can appreciate audience whimsy, I am exceedingly proprietary about the denouement of work I’ve imagined, created, defined, fine-tuned, buffed, shined, and made as cohesive, thoughtful, and credibly engaging as I possibly could. I won’t post my work online to invite the global community’s opinion of where it should go or how it should end. I understand some authors like that kind of feedback; for me, it’s antithetical to my creative process. So, my endings, in general? I won’t go for neat and tidy; “neat and tidy” is rarely the way of real life. I may go for hope: the hope of a positive outcome for these characters I’ve asked you to follow up to this point. Success is suggested, we see possibilities; we don’t know if they’ll come to those desired fruition, but there’s an opening for exactly that. That formula is definitely the case for my first two novels. This one? The Alchemy of Noise? Given its weightier subject matter, its darker turns and suspenseful plot twists, I will only say it ends as I believe this story would in life, definitely “fixing the shape and meaning of the whole novel.” I hope you’ll read and enjoy it to find out exactly what that means. Want to find out more about Lorraine and her fiction? If there’s anything else you’d like to ask Lorraine just leave a comment.